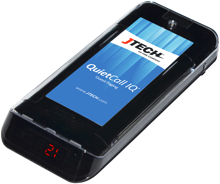 JTECH jumps ahead of the line with the QuietCall IQ® paging system for restaurant, medical, retail and warehouse operations — a forward leap in technology that sets a new standard for customer service and improves staff efficiency. GuestCall IQ’s wait-time estimator and basic table management are built right into the base station at no extra charge — an industry exclusive. 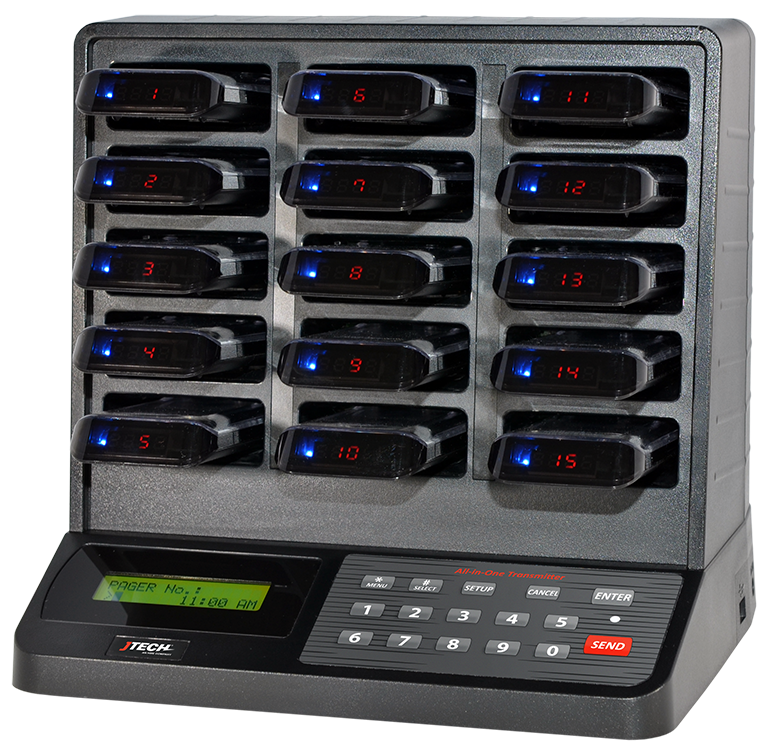 And our revolutionary renumbering system provides time and money savings that will forever change the way you program, stock and reorder guest pagers. QuietCall IQ® pagers are rechargeable and the battery is user-replaceable. Chargers come with 30 and 60 pagers charging capacity. Transmitters have a range of up to 2 miles so staff or guests can roam comfortably in any setting. The QuietCall IQ® Pager is extremely strong and features multiple alerts. Up to 2 miles range with a unique ID to prevent signal interference. Replace your own batteries to reduce downtime and cost. Out-of-Range and Search ensures contact with staff and guests. Our pagers integrate with many industry-standard software such as EMR (Electronic Medical Records) for the medical industry, for example. 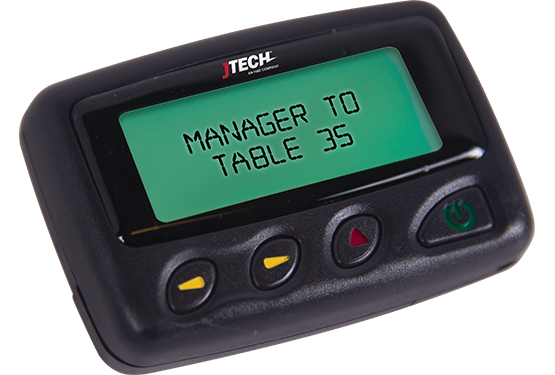 Staff can choose between alpha text, numeric or rugged rechargeable pagers. Save space with a charger and transmitter in one convenient system.